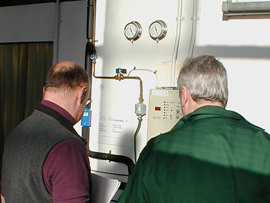 This course is aimed at practicing service and installation engineers with some previous experience and a basic understanding of the refrigeration system. Although it will normally be taken as part of one of our other courses this can be run as a one day, stand alone course where a company has a group of engineers requiring training - please contact us for further details. To gain a basic understanding of the common faults encountered, their impact on the efficient running of the system and how routine maintenance and good refrigeration practice can help to prevent he development of faults in the future. The topics will be covered with emphasis on practical work on real working systems. Presentations and discussion sessions will reinforce the practical.